Spouse has bought us tickets to see another Henry Rollins spoken word show. Can that guy rant! But he does liberal tolerant rants. Did you know there was such a thing? Rom also bought us tickets to the metal festival at The Forum in July, featuring Morbid Angel and Kataklysm with Blackguard and Cryptopsy. While I don’t listen to a lot of metal recordings, I do really like live metal shows, so I’m looking forward to it. In the absence of any other rock shows for the spring, we’ll be going to see Neptune Theatre’s La Cage aux Folles, which is getting rave reviews. I didn’t get to any restaurants on my Wish List this month, but did go back to one of my favourites, Il Mercato, where I inadvertently ordered a meal containing sausages. After my well-read month in March, I only read ONE book this month. However! It was Haruki Murakami’s 1Q84, a 900-page blockbuster. It held my attention from start to finish and I didn’t open ANY other books the entire time I was reading it! I would describe it as a literary thriller with supernatural elements. It was about two people who were destined to be lovers, but were sucked into a criminal underworld in a parallel universe. It was, in turns, heart-rending, creepy, exciting and philosophical. I’ll never look at the night sky the same way again! 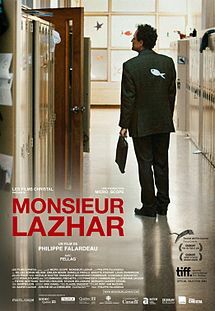 I saw a stunning movie as well – Monsieur Lazhar. The shocking events kept tears in my eyes throughout. It was the story of a newcomer to Canada, who had gone through some hard times himself as a refugee, who worked with an elementary school class after the death by suicide of their teacher. It was ultimately about the impact a caring individual can have on a situation that seems hopeless. Another humanist triumph! Incidently, I adore “teacher movies.” Some of my other favourites are Les Choristes and Etre et Avoir. 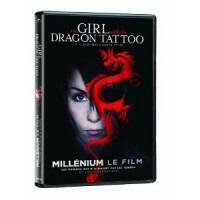 I also watched the Swedish version of The Girl with the Dragon Tattoo (2009). I had put off watching it for ages because I didn’t think I could handle the violence. My instincts served me well on that, but it was still worth watching for the performance of Noomi Rapace and the screen adaptation of the novel, which I had read some time ago. Unfortunately, I found it hard to get past the lead actor’s resemblance to PM Stephen Harper. Ack! I was pleased with myself for finishing an Organizing Project this month. Whenever I need to register for a web site, I write the details on a slip of paper and throw it into a file. I had many years’ worth of registration details stuffed in there. I went online and checked every single one to see if they were still active, and what information they had on file about me. Discouragingly, it was not possible to delete many of the accounts, but I was able to modify some of them and delete as much personal info as possible. So I now have a complete list of about 40 active and 20 inactive web site registrations, and I have vowed to keep better tabs on my personal info in the future! The one that made me most angry was when I registered for a one-month trial of the paid version of Napster. I cancelled my trial before 30 days were up, but they kept my credit card info on file, and it was not possible to delete the account – only “downgrade” it. The only saving grace is that Napster has shut down and I have since replaced my credit card, in case they sold their user lists. I have also made substantial progress on my office cleanup. I only have about 4 piles of papers left to sort, file or shred! That is a vast improvement. My intended result is that I will be able to get my hands on any document I need, immediately, when I need it. I am also continuing to standardize the names of my electronic files, which were already in pretty good order, and match the file names to any existing paper files. My records management courses are finally paying off! Now for the big news. I have had a totally unexpected financial twist. In fact, you might even call it a windfall, but for all the wrong reasons. My kid has quit university. I had been saving to pay for the degree for 7 years, and it was to take another 2 years of saving to pay it off completely. I have such mixed feelings. On one hand, I worry about how difficult it is to become self-sufficient and remain above poverty level with just a high school education. On the other hand, it is the job of any child to create their own future and not to cave to parental expectations. Link intends to find work in Toronto and remain there. I have decided to maintain my current level of saving – because I can – which will cover a huge number of contingencies in the years ahead: such as Link deciding to return to school in later years, but also car replacement, roof and furnace repair, and travel. I am not excited about my financial fortunes at all. I am just sad. The biggest part of it, I suppose, is that I expected my child to come home for school vacations for the next 4 years, and now Link permanently resides elsewhere. Of course, I can visit, but it is such an abrupt transition. I indulged in a bit of retail therapy this month. 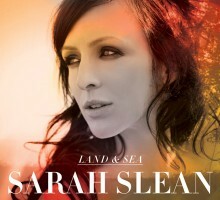 I bought myself an iTunes card ($50 on sale for $40) and bought the Sarah Slean CD and the M. Lazhar DVD. It has been ages since I went out and spent that much money on myself. I also bought something on a whim: there are detail maps available of sections of Nova Scotia, and I bought 2 sections that show fine geographic detail of the area where I grew up. It shows all the interconnected lakes and streams, swamps and forests, the elevation, and every single building. My home “town” is so tiny that I had never seen it on a map before, and it is fascinating to see an overview of the entire area. I also made some, ahem, unscheduled clothing purchases. I have been trying to keep a list of clothes I actually need to buy. I have a basic work wardrobe and some casual clothes that I wear every weekend. I simply replace every item that wears out with something similar. When I say “wear out,” I find that the clothes either fade after many washes, or start to lose their shape, or simply get too far out of fashion to excuse! My weakness is that I somehow buy frivolous clothes items every time I go to a conference or on vacation. They always seem rational at the time and I regret them later! This month I bought a belt to replace one with a broken fastener, a pair of grey pants to replace a pair that no longer fit, a turtleneck sweater on sale to wear as a layer next winter, and a long-sleeved T-shirt which is part of my weekend uniform. I had a white cardigan on my wish list, and finally found one, so I am considering it a spring season update! After all that, I still bought 3 new items: a pair of skinny black pants that will go well with long tops (and will let me continue to avoid wearing jeggings), a plaid shirt with ruffled placket and cuffs (for work, until the weather warms up), and an impulse summer nightgown. (What??) The good part is that our local department store, Zellers, is closing, so I got lots of excellent deals. The bad part is that my beloved Zellers will not be there any more, sigh! A local charity also did a collection drive in my neighbourhood, so I was able to offload some household goods and better-quality clothing that I no longer needed. I have zero interest in holding a yard sale, so that worked out great! Finally, this was a “no nonsense” month for food. As posted here, we have been using up everything in the freezer. In addition to everyday Real Food dinners, I made 2 pots of soup, 2 batches of yogurt and 10 loaves of bread this month! I have been bored with my work lunches and snacks lately, so for May, I am planning to make some muffins and quick breads, and another batch of granola. We will reach the bottom of the freezer by the 3rd week of May! It should also be a more fun month for food because I will take Rom out for a birthday dinner wherever he would like to go. We usually go to a Chinese buffet for my nephew’s birthday, and I will be cooking a meal for my parents for Mothers’ Day. I don’t usually wish the time away, but right now I am looking forward to visiting Link, after said child gets a job and settles into a routine. A trip to the UK is planned for September, with a weekend in London. I have even started researching the trip to NYC I have planned for 2013. 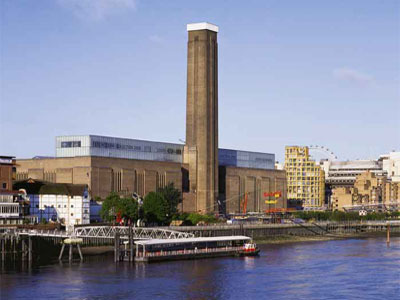 London: Yay for Tate Modern! So that was my April 2012! Wow, you’ve been busy. I too read 1Q84 recently and probably had the same feelings about it that you did. I wonder if there will be a sequel to tie up some loose ends. I have two teen boys, one in grade 11 and another a year younger in grade 10. University is looming and we’ve been saving but I fear it’s not nearly enough. I saved extra so Link could “go away” to university but it didn’t work out…any savings is good savings, though!